Las Vegas is the ultimate destination for your fun times! Las Vegas has long been known for providing all the elements you want for your bachelor or bachelorette party. Limos, dancing, fun night clubs, and more! Hire a limo, plan a bottle party, see a Las Vegas show and you will have wedding celebration memories to last a life time. Chippendales, voted Best Male Revue & Bachelorette Party in Las Vegas 2018, is located in the Rio Hotel and Casino. This custom designed women's playhouse takes the world famous Chippendales experience to a whole new level. Call the Rio's box office today to reserve tickets for the ultimate night out! Fall in love with Camel Safari, Nevada’s most unique animal experience north of the Las Vegas strip. 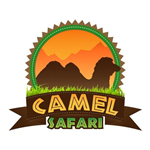 Featured on abc’s The Bachelorette last season, Camel Safari is the perfect venue for your wedding, Bachelor and/or Bachelorette party!